Facilities in Design+ are housed in our new state-of-the-art purpose built, multi-million, research building, the Dargan Centre. 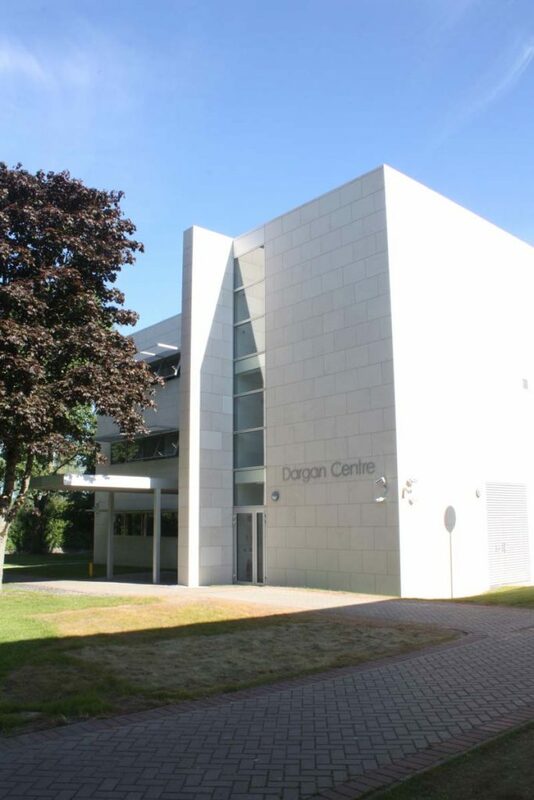 The Dargan Centre is a 2,500 sq metre, three storey facility, which provides a focused, vibrant, supportive and nurturing environment for enabling and expanding RDI activities. The Centre is comprised of the Research & Commercialisation Support Centre, Postgraduate Studies, meeting rooms, specialist science and design laboratories, project rooms and incubation facilities, along with designated areas for each of the Institute’s Centres of Research and Enterprise (CORE) research groups. The Institute’s Centres of Research include enviroCORE, designCORE, gameCORE, engCORE and healthCORE.